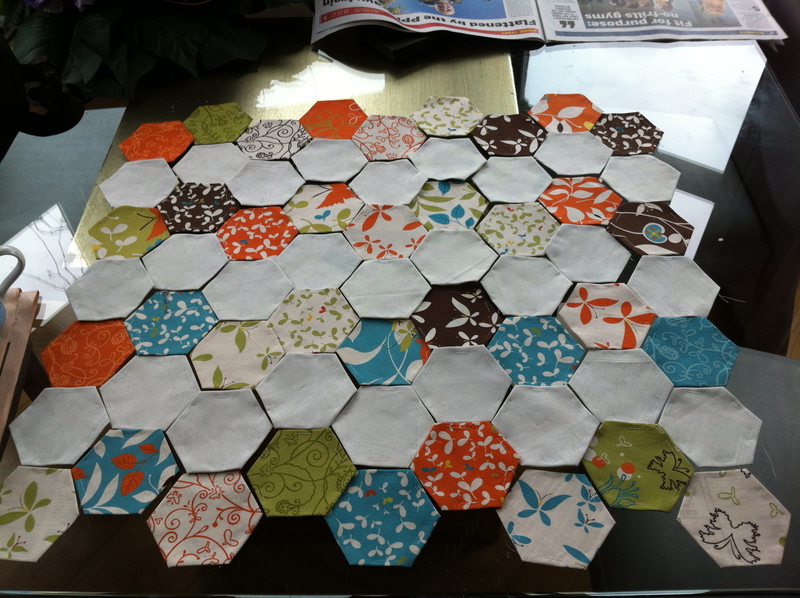 For the trip away a little sewing project was needed, so up until two hours before the flight I was madly cutting out little squares, in preparation for hand pieced hexagons, using english paper piecing. If you are interested in the process, check out Kristy at HandmadeRetro for a very fast learning curve. For the trip I cut out 5 inch squares of green and cream fabric, and used a charm pack of something with butterflies. It’s not my usual taste, but it might be a nice wall quilt for the baby. Or by the time it’s finished someone else’s baby. Or even a granddaughter. 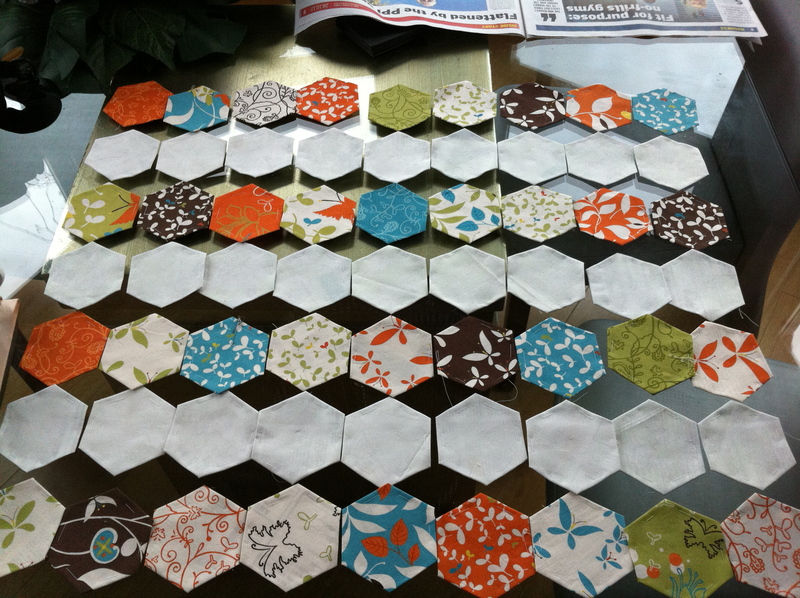 We’re keeping hand piecing expectations very low over here. The real problem, is I have come to a COMPLETE standstill over design! Here are a few of the contenders. Some colour need as diamonds to break up the straight laced hexies? 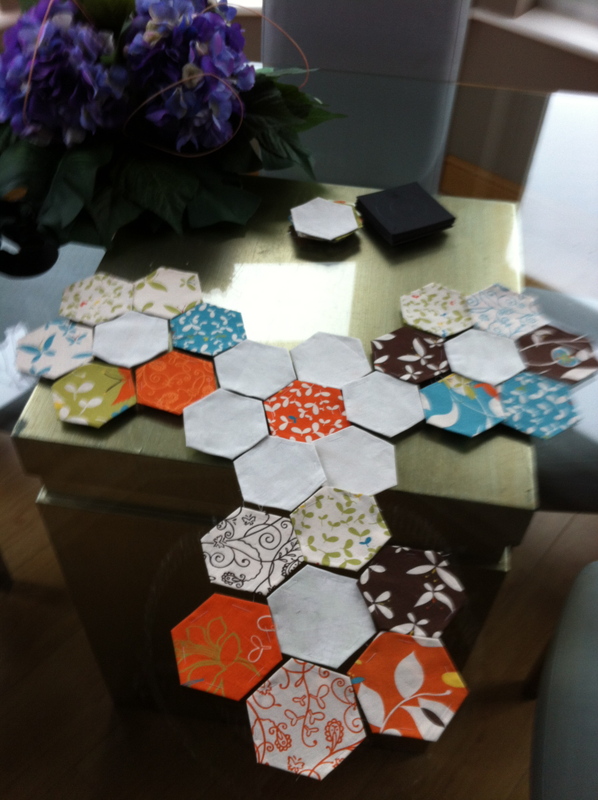 Haphazard design, also with coloured or print diamonds as fill…. Any ideas? I’m gravitating towards the last design with a darkish grey/blue to fill, although a large scale print could create balance between the simple blocks and the busy bright blocks. Sorry. 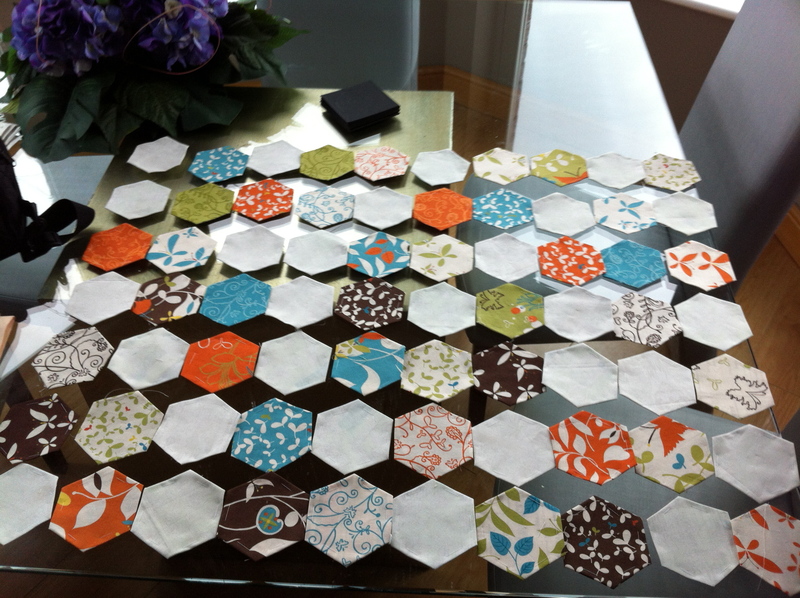 Hexies.